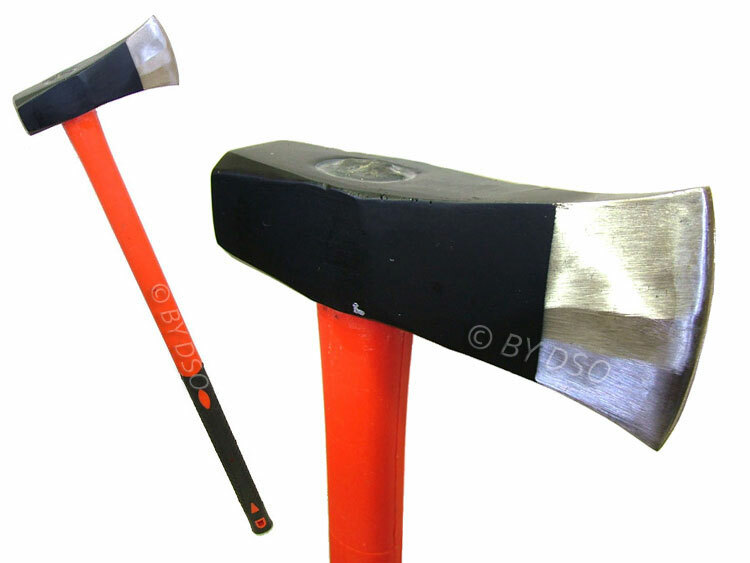 A heavy duty splitting axe which can be used as a hammer for driving a wedge into oversized or difficult logs. The quality Drop Forged head with polished, lacquered blade and painted body is fitted with a fibre glass shaft. The base of the handle is rubberised so less of the impact is felt in the hand and arms. Ideal for log splitting and chopping at home or in the bush.